#FCLMblog | Lokomotiv Mosca Blog: Preview: Zenit - Lokomotiv. Assistants: Aleksey Shryaev (Stavropol') and Aleksey Lunyov (Novosibirsk). Sub assistants: ? and ?. Inspector: Sergey Lapochkin (Saint Petersburg). Lokomotiv - Zenit 1-2: 70' Rodolfo; 34' Arshavin, 82' Pogrebnyak. Absents: Abaev (injured), Durica (injured), Sheshukov (injured), N'Dinga. -NTV Nash Futbol. Commentators: Gennadij Orlov. The first match of the new season. Today Lokomotiv will face Zenit in the Russian Super Cup seven years later after the last precedent. Over these seven years, many things changed regarding to the ambitions of the clubs: Zenit became a top-club, while Lokomotiv started its fall. Returning to the present, both teams had a camp in order to prepare to the today's game. On the one hand, Lokomotiv won against Ludogorets, drew against Qarabag and lost against Chertanovo. On the other hand, Zenit drew against Tosno and won against Sturm Graz. During the transfers window, 'Bomzhi' signed many well-known players: Mikhail Kerzhakov, Artur Yusupov and Artyom Dzyuba. Furthermore, Christian Ansaldi returned from the Atletico Madrid's loan. Lokomotiv, instead, signed Kochenkov, Kolomeytsev and N'Dinga. The most interesting thing to notice is that there won't be any sort of limit. Therefore, both teams could play with as many foreign players as they want. However, it's quite impossible to renounce to Russian players. As a consequence, Villas Boas should play with Dzyuba as Rondon is not ready at 100% after returning from the Copa America. Cherevchenko, instead, should rely to the starting line-up that most impressed him during the friendly matches. In particular, Grigorjev should be tried as striker. Despite RFS considered many options (Ufa, Moscow or even abroad), the Super Cup will take place at Petrovskij Stadium. About 14 000 tickets have already been sold and about 2 000 were given to Lokomotiv's fans. 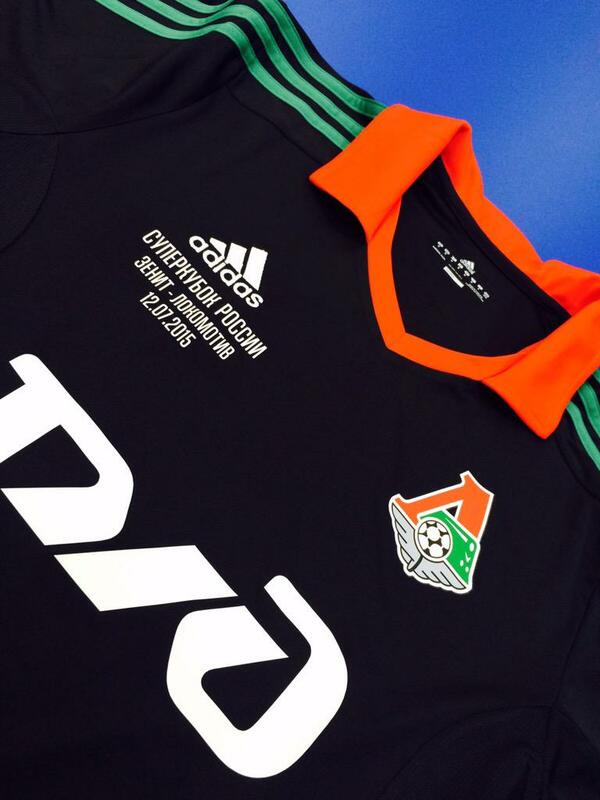 Lokomotiv will play the match with a black shirt as the kit for the new season will be unveiled new week. RZD's President Vladimir Yakunin will be on the stands in Saint Petersburg and will certainly have a meeting with Gazprom's Head Aleksey Miller. HERE you can find all Lokomotiv's precedents in Russian Super Cup.